Draped in a flawless Ecuadorian Connecticut wrapper aged 4 years, the Micallef Connecticut is a robust and creamy smoke with rich, unique character. 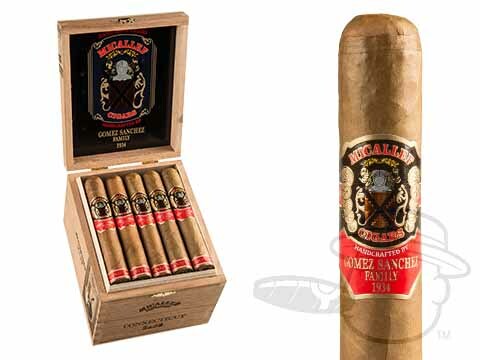 Showcasing a 4-year aged Nicaraguan Habano wrapper around a Nicaraguan and Dominican blend of the same vintage, the Micallef Connecticut delivers balanced notes of cedar, nutmeg, cream, and mellow spice to create an impressively immersive smoking experience. Like all Micallef cigars, the Connecticut is evidence that grand tradition never goes out of style. Grab yours here at the lowest prices possible.